Happy Monday, Maharanis! 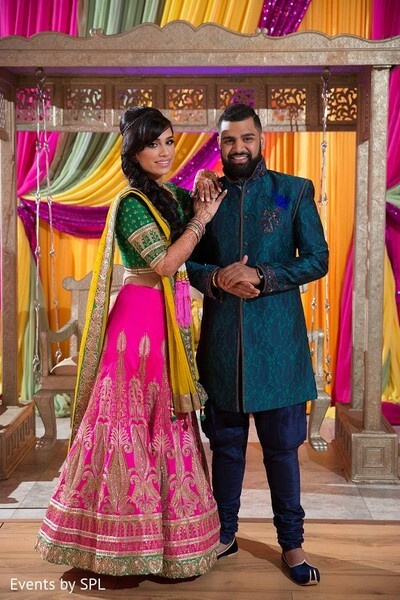 We're delighted to be sharing today's featured wedding with you, not only because it's amazing, but because it showcases an uber dream team of vendors from the south — so, if you're a Southern belle planning your perfect day, you need to take note of this incredible Indian wedding planned and designed by Envi Event Planning! 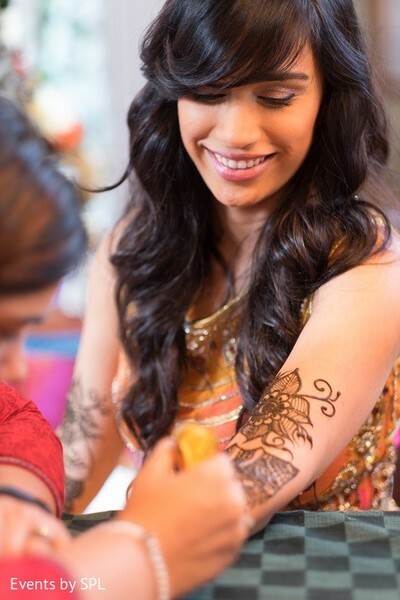 We'll be bringing you details in gorgeous photo form, thanks to the handy work of photographers from Events by SPL, all day long, starting with a vibrant look into the blushing bride, Priya's, pre-wedding highlights! 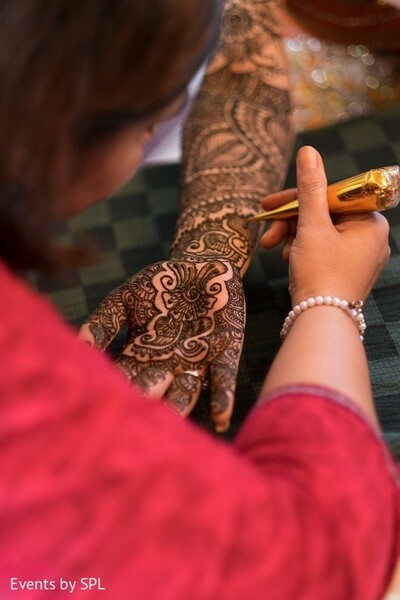 She called on Beauty You Deserve for her mehndi party, and the talented henna artist who created her bridal mehndi design took our breath away with her remarkable talent. 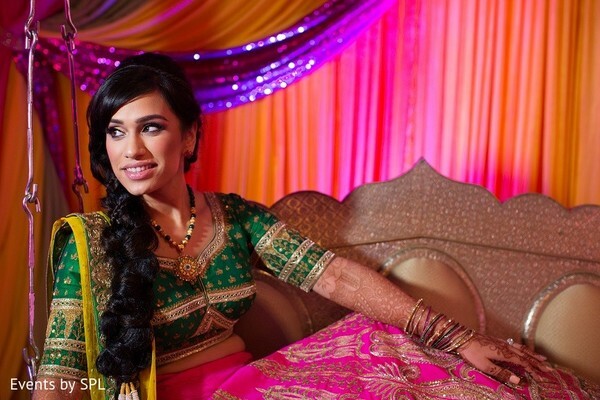 Weddings InStyle delivered up a plethora of bright and bold decor details for her events, and Cafe Bombay Restaurant and Catering provided the fantastic fare for her guests to feast on. 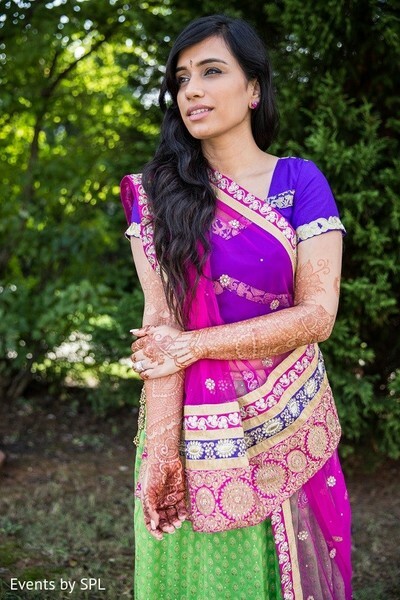 Maharani Priya's makeup, by Erica Bogart Beauty, was picture perfect as can be and we can't get enough of Beauty by Anh's hair styling talents — I mean, that chunky side-braid for her sangeet is to die for! 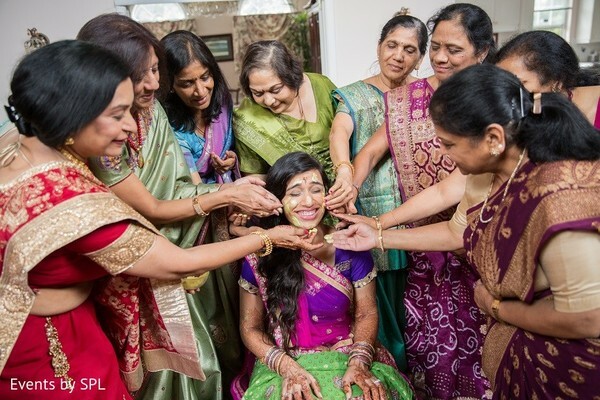 Head into the complete gallery for more details from these three unforgettable pre-wedding celebrations! 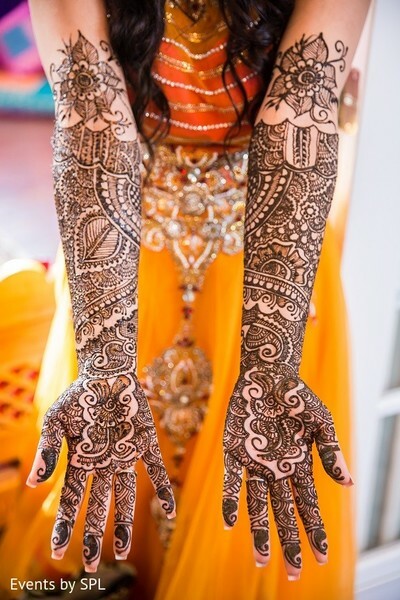 Join me later today as we explore the divine details from Maharani Priya's big day! 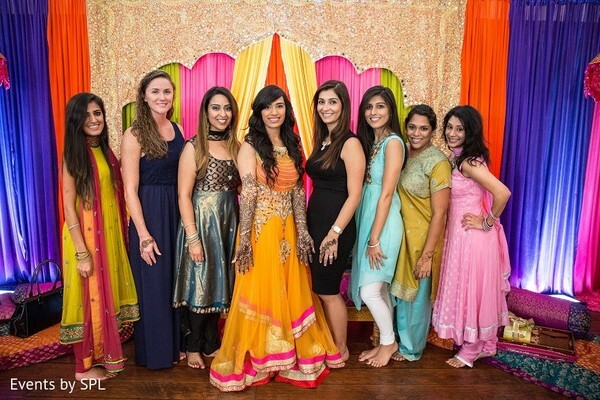 Weddings InStyle, Envi Event Planning, Beauty You Deserve, Cafe Bombay Restaurant and Catering, Events by SPL and Erica Bogart Beauty are members of the Platinum Guide. Love what you see? Explore their portfolios.